Carrara White 1"x2" Basketweave with Toros Black dots are on 12"x12" mesh. In ancient times the mosaic stones were used to draw pictures on walls. Basically, Marble Mosaic tiles are small tiles designed with inlay pattern. Typically mosaic pattern highlights a range of different materials, colors, and shapes. The exclusive Marble Mosaic tiles are available in square, penny round, mini brick, basket weave, hexagon, chevron, herringbone shapes. Each combination of divergent Marble Mosaic tiles is great for making a stylish impact on areas such as backsplashes, bathroom walls, shower or tub surrounds, fireplaces, and even floors. Marble Mosaic tile is a beautiful way to embellish your interior and exteriors. 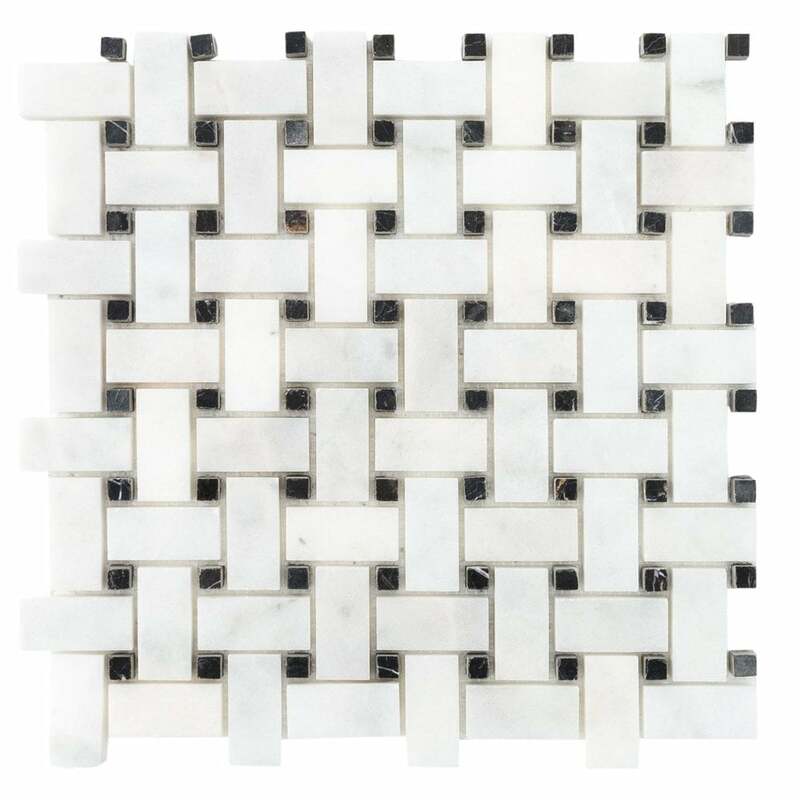 Carrara White 1"x2" Basketweave with Toros Black dots mosaics are mesh mounted. Mesh size is 12"x12". 64pcs 1"x2"x3/8" Carrara White polished and 64pcs 3/8" Toros Black polished dots are on mesh. White color marble - Gray and some black veins are expected. Grouted installation is recommended.